The Estates at Riverwood Farms is a gated sub-division offering a clubhouse, pool, tennis courts and two lakes. 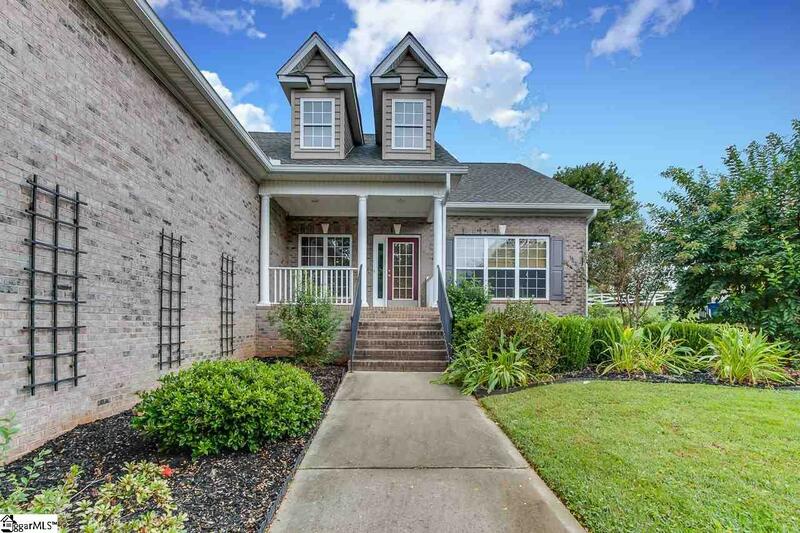 This is a Full brick home with Front Porch, back Deck and Fenced in Yard. 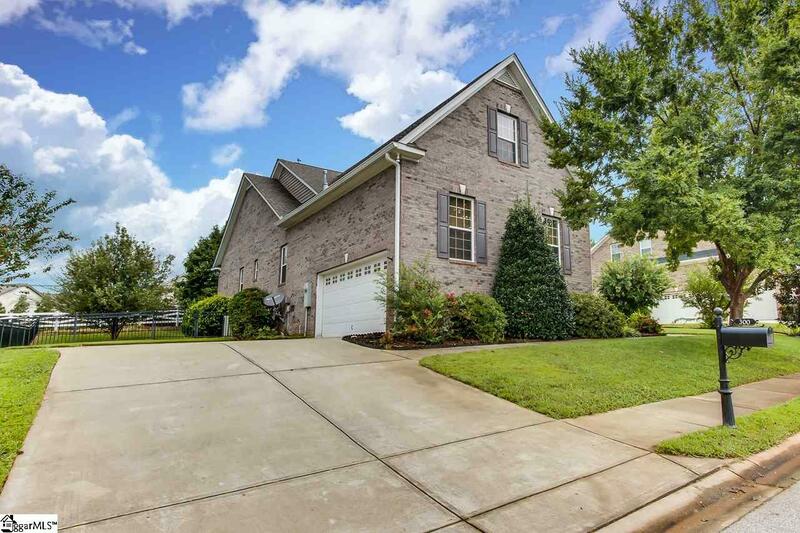 There are 4 bedrooms, 2.5 Bathrooms on the main floor and a 13x22 Bonus Room upstairs. The home has BRAND NEW Wood floors in the main area of the home and newer Wood Floors in the Master Bedroom. There is fresh paint throughout and the Roof was replaced just last year. The Open Floor Plan gives you plenty of options to enjoy. 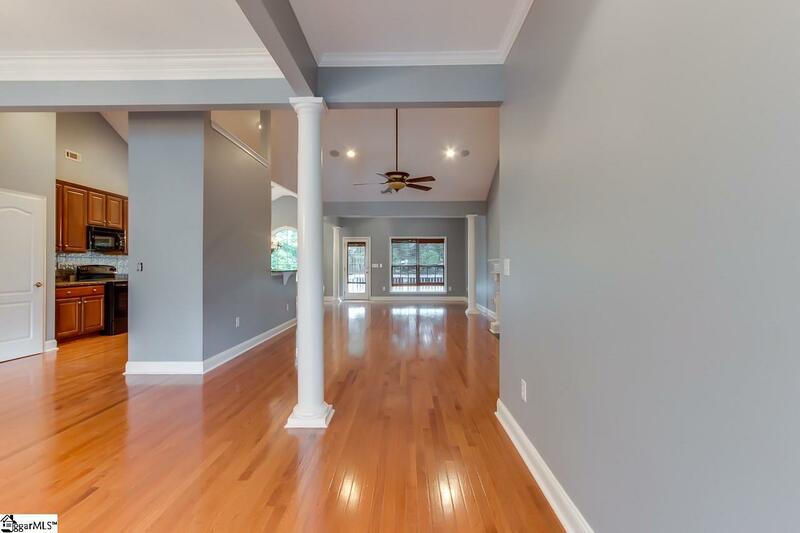 The Great Room, Breakfast Room and Kitchen all offer Vaulted Ceilings. The gas fireplace features a hand carved mantel and surround. The Dining Room has views of the Kitchen and the Great Room. The Kitchen has Granite Countertops, Black Appliances, Pantry Closet, Tall Wood Cabinets and Decorative Backsplash. The Kitchen also has views of the Breakfast Room, Dining Room, Great Room and Den. The rear Den opens to the deck overlooking a fenced rear yard lined with evergreens. The main level Master Suite features a sitting area and a large master bath with dual sinks, a jetted tub, separate shower, Water Closet, Linen Closet and large His/Hers walk-in closet. All 3 other bedrooms have tall ceilings and large closets. The second bath has dual sinks and a separate water closet. The half bath is private for guests and the laundry room has tall cabinets and extra storage. The Bonus upstairs is large enough for a media room or game room. The walk in attic has space for storage. The 2 car garage has a utility sink and extra storage cabinets built in. It is located in the Riverside High/Middle School district. 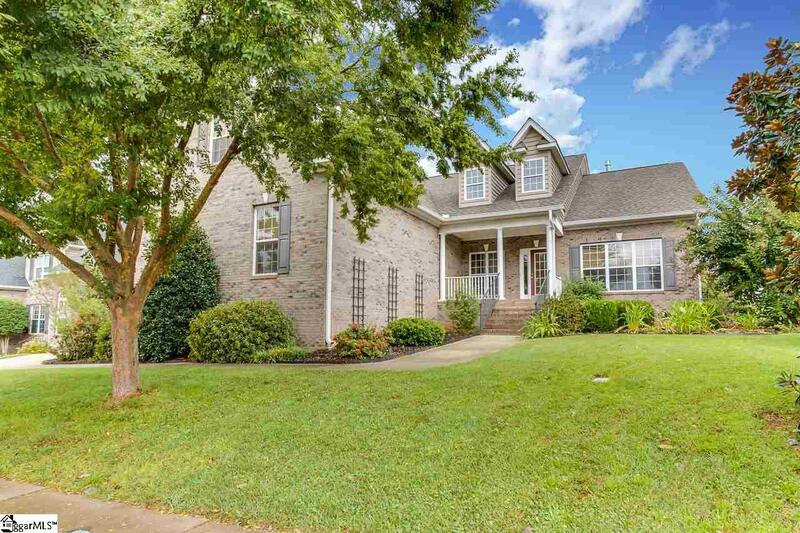 8 Mins to the Greenville Spartanburg International Airport, 10 mins to Downtown Greer, 20 Mins to Downtown Greenville, 25 mins to Paris Mountain State Park, 11 mins to Pelham Road Restaurants and Grocery Stores.